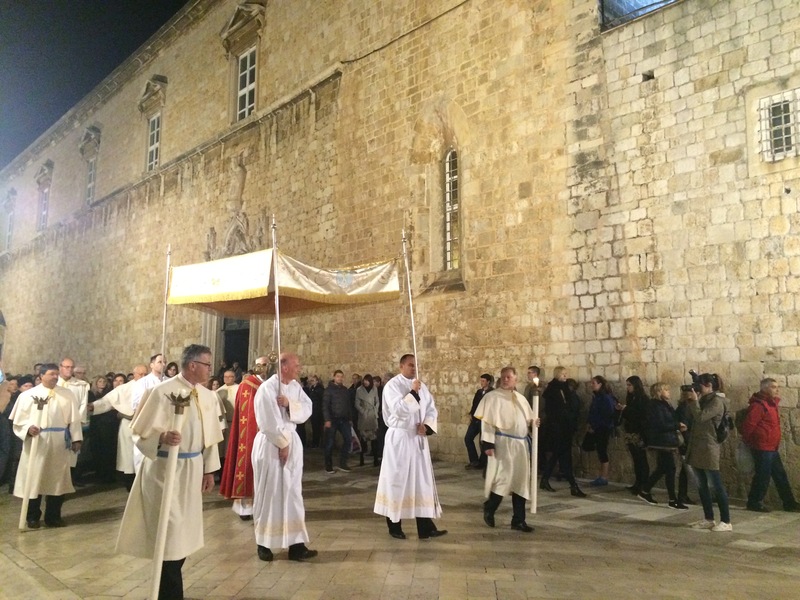 Today is Good Friday and following an old tradition, there is a procession in Dubrovnik Old City. 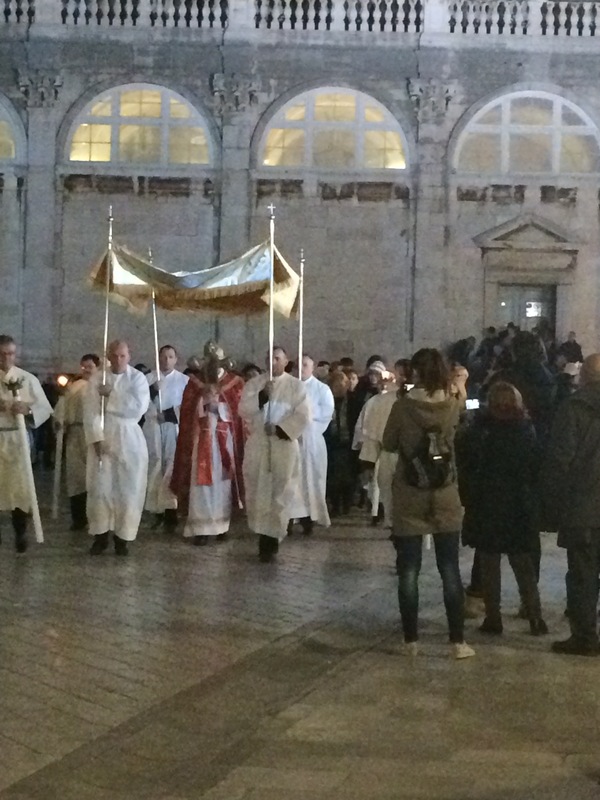 It starts from the Cathedral of Mary’s Assumption through Od Puca Street and continues along main Stradun street. 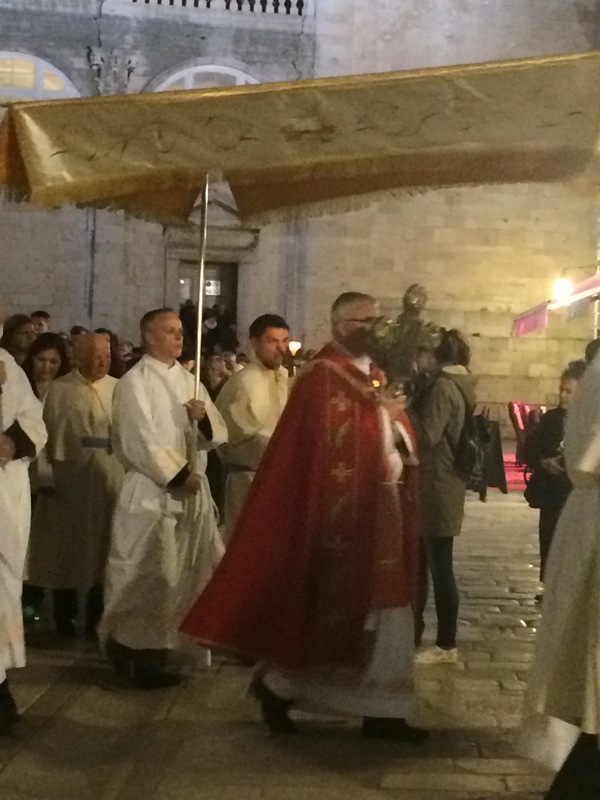 Dubrovnik’s bishop carries the relic of the True Cross. 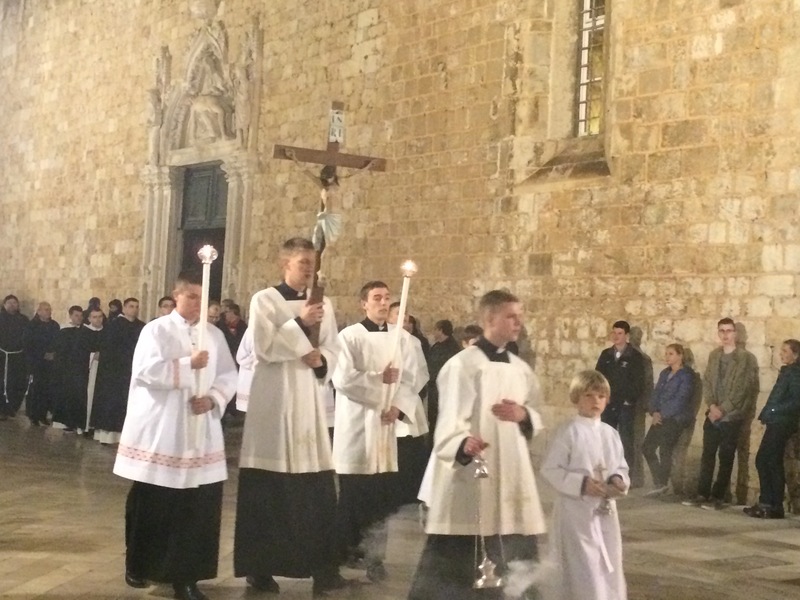 It is the name for physical remnants which, by a Christian tradition, are believed to be from the cross upon which Jesus was crucified. 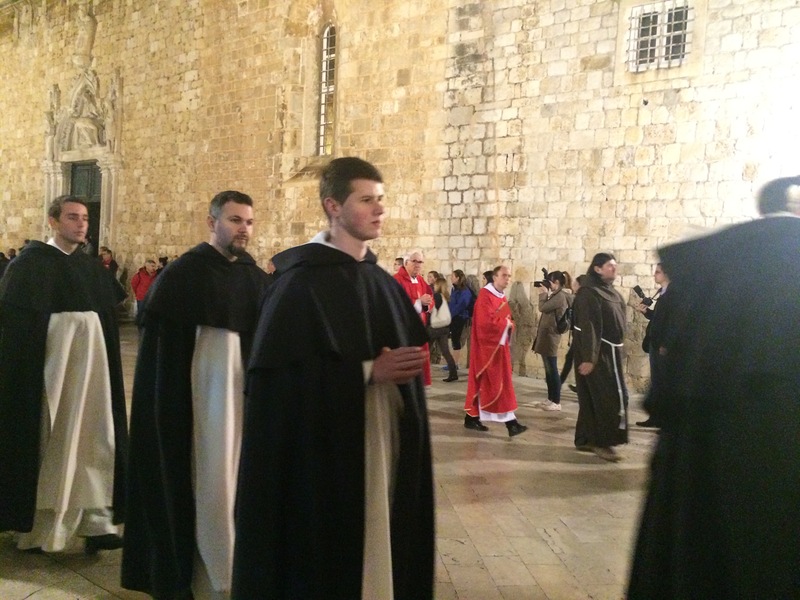 This relic together with 132 other relics of saints are treasured in the Cathedral Treasury and is open daily for visitors.